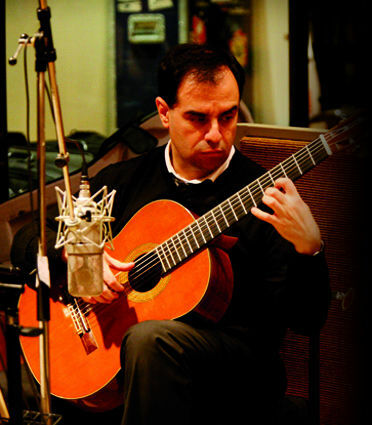 In 2007 Rolando Saad carried out one of the most important projects of his career as a performer: recording in London with the Royal Philharmonic Orchestra of the famous Concierto de Aranjuez, under the direction of Fuat Mansurov. This project dates back to 1993, when Rolando Saad was invited to record with the prestigious British ensemble. Scheduling dificulties meant the collaboration was postponed until the following year, but then the musician was involved in a serious car accident and the project was suspended indefinitely. Following Saad’s spectacular career comeback during 2006 and 2007 - which included a wideranging European tour, including Vienna’s Musikverin, Amsterdam’s Concertgebow, Leipzig's Gewandhaus, the Berliner Philarmonie, the Konzerthaus of Berlin, Roma's Parco della Música, the Teatro Real in Madrid and the Gran Teatre del Liceu in Barcelona - the recording could finally take place. 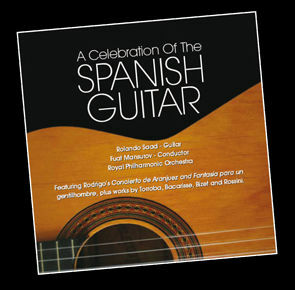 The trial by fire of the CD A Celebration of the Spanish Guitar arrived on February 20, 2008, when it was presented at the Barbican Hall. The hall, filled at full, welcomed with great enthusiasm Rolando Saad, the Royal Philharmonic Orchestra and director Fuat Mansurov. The concert was also the debut of the guitarist in London, where he performed the Concierto de Aranjuez for the first time. The evening was an intense tribute to the Spanish guitar, which brought together guitar masterpieces: besides the Concierto de Aranjuez, Fantasia para un Gentilhombre of Joaquín Rodrigo was heard and Sonatina of Federico Moreno Torroba. 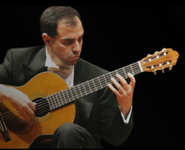 Saad played the concert with intensity and rhythmic force, and stood out especially in the Adagio, considered by many the most beautiful and touching melody in the entire history of the guitar. This performance was the finale to a successful tour that Saad began in early 2007 at the Liceu in Barcelona and which included the best European halls : the Royal Concertgebouw in Amsterdam, Musikverein in Vienna, Leipzig Gewandhaus, Filharmonie in Berlin, Auditorium Parco della Musica in Rome, Teatro Real in Madrid, the Palau de la Música in Barcelona, Victoria Hall in Geneva, etc.